We keep getting requests concerning outdoor aviaries, more specifically about building your own permanent outdoor aviary. This is fine with me as I am also one of those that would like to have one for my birds. The problem that I have and many other people have as well is the cost of the materials needed to do the job. There are a variety of construction techniques that can be used to allow the use of some materials that I would not normally recommend such as using untreated cedar or redwood framing and placing the wire mesh on the inside to keep the bird from chewing up the frame. The biggest expense and the one that is the most difficult to cut costs on is the wire mesh that is used. There are some places that just go ahead with using standard galvanized hardware cloth for these enclosures, but I can't honestly recommend doing this as the galvanized wire is then coated with zinc, which is a metal that is known to be toxic to our birds. Stainless steel hardware cloth is the only safe way to go as far as I am aware of, but it is expensive, and difficult for the homeowner to find. Here are some links to sources of stainless steel hardware cloth in the USA. The next possibility is to use an aluminum mesh or hardware cloth instead of stainless steel and here are a couple of suppliers for this material, but it is also expensive, but it ma be cheaper than the stainless steel mesh. I am sure that there are several more suppliers online that you can locate and contact for further information so that you can compare their offerings for quality as well as pricing. I personally would not recommend using any other material at present due to how sensitive birds are to metals. 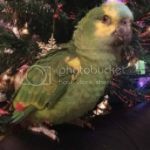 If we had birds other than parrots there are any number of other products available that would work just fine and be much cheaper, but we have parrots and parrots chew on everything and some of them can bite through the best chain link fence available. So much for the enclosure, at least the part of it that you can see and that will be exposed to the rigors of the weather. You still need to provide for shade and I think that you can use standard fiberglass panels or metal roofing for this as long as it is place above and outside of the Stainless steel or aluminum wire mesh that is the top of the wire enclosure. Yes the wire enclosure must surround the birds space completely, even on the floor unless you build your aviary on a concrete pad. This is to keep any burrowing animals from getting to your birds. Well, I think that I have covered the basics that one needs to consider although I am sure that there will be some questions and I will do my best to answer them as they arise. The stainless, while a bit pricier, gives you more assurance that you will not have rust or strength issues over a long period of time. You have to look at this project as a long term investment, and realize that a little more money spent now, will save you a LOT more money later on! Depending on your type of bird (for this example- the smaller the better) you can build a PVC aviary that is transportable (not heavy at all), inexpensive, and easy for those like me who is only ever handy when the fids inspire me You can see some really good examples of there on Google and I've read a few articles on them. Type of materials used, like what gauge wire and what type. I have cockatiels, so I use 16 gauge. I also recommend galvanized materials for your birds' safety. Feed your fids lots of apples for the first few weeks on living in the aviary (apples flush the zinc and toxins out of their bodies). The size of the wires are very important. For bigger birds it can be tricky because it has to be wide enough so their beaks and toes don't get stuck, but also small enough that they can't get the leverage to spread the wires. Also, you have to think like a predator and remember that there might be times where you can't supervise entirely (though you should always try) and they could try to get your babies. I wouldn't trust a DIY aviary made by me lol I would just buy an aviary no matter the cost I wouldn't trust myself.I want to ask is there any way to give your bird some light and sun in winter? Its not very cold here it is a little and there has been a lot of heavy rain and floods.But on days when its not raining or windy would it be ok to put on a fleece flight suit and let your birds enjoy some sun or fly? I would think that the fleece suit would sort of defeat the whole purpose as it covers so much of the birds body. 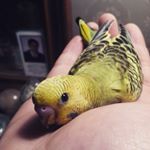 Your bird being in good feather should be fine as long as the temperature is not below 50 degrees F. for the 20 minutes or half an hour that would be required to give them enough sun. Most tropical birds can withstand long periods outside at temperatures of no lower than 55 degrees F.
I do not recommend that anyone use galvanized wire for birds for any reason nor do I know of anyone that has much bird experience that recommends it either. Apples may indeed help to flush zinc out of a birds body but I am willing to bet that they are speaking od dietary zinc and not the actual refined metal. I know that I would not trust it to flush that much zinc from the birds body in time to prevent its death from zinc poisoning.